The Rose were emphatic 4-0 winners over Dunipace last Friday clinching the point they needed to win the league and still remain unbeaten after 21 games. Horn stressed the players wouldn’t be taking their foot off the pedal in the final league matches. 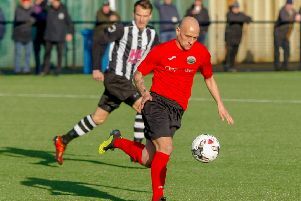 The Rose have booked their place in the play-offs and are still awaiting a decision with regards to the SFA licence needed to play in the Lowland League. 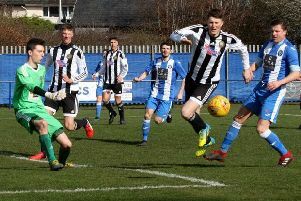 Penicuik Athletic or Hill of Beath from Conference A and Broxburn or Linlithgow Rose from Conference C could face them in the play-offs. Horn admitted he would have preferred a two legged tie to decide the East of Scotland champions.